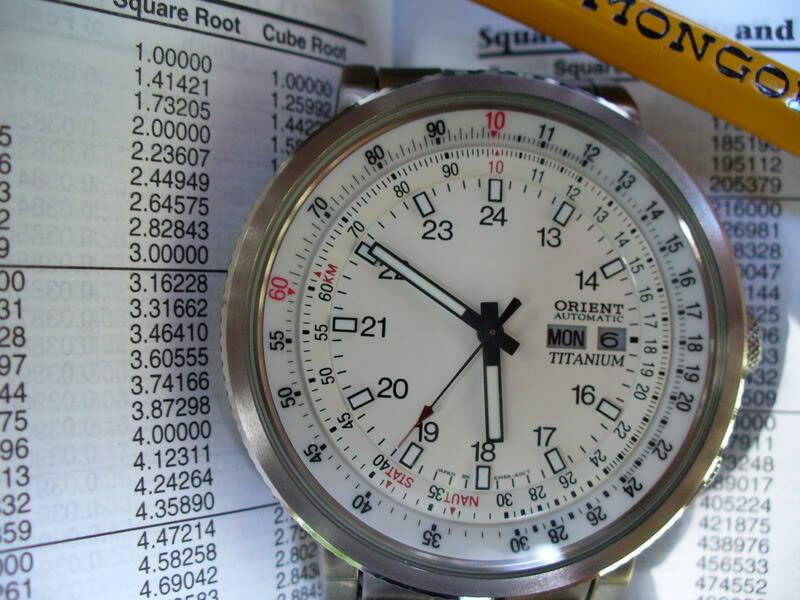 I bought this Orient as a "passaround" watch to be passed amongst the owners group at BDWF (at that time myself, Nac, Furdog,Natgas,Raiderfan,and DX I believe) It's final stop was the founder of BDWF Don Ruch, who we bought the place from) Interesting to note that the picture pre-dates the appearance of Michael Davis on the scene and the text is either an omen or coincidence. 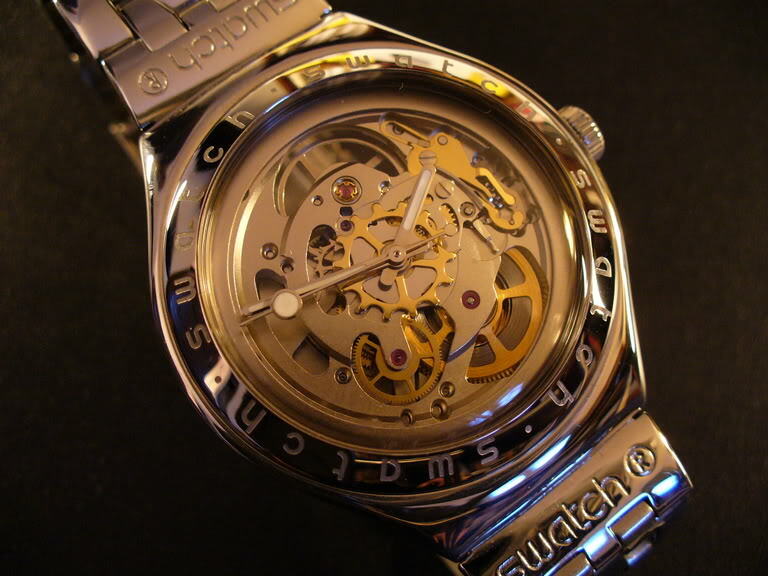 This Swatch "Body and Soul" is still in production. 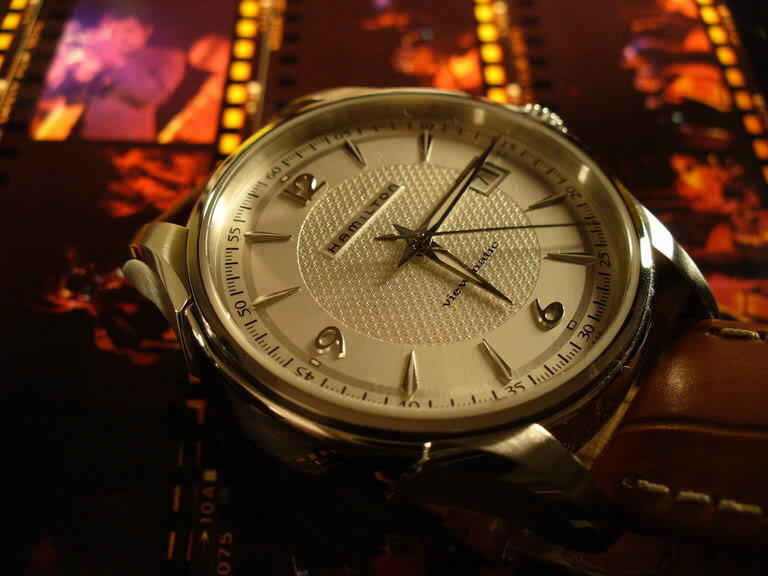 Cool watch. I thikl I sold this over 15 years ago. I always liked the pic. I should have kept this one too. The only "spot on" watch I ever owned. Simply never wavered until it started to run down. I kept with the Jazzmaster theme by using a contact sheet (any photogs remember them?) from an Art farmer show that I photographed in Boston. 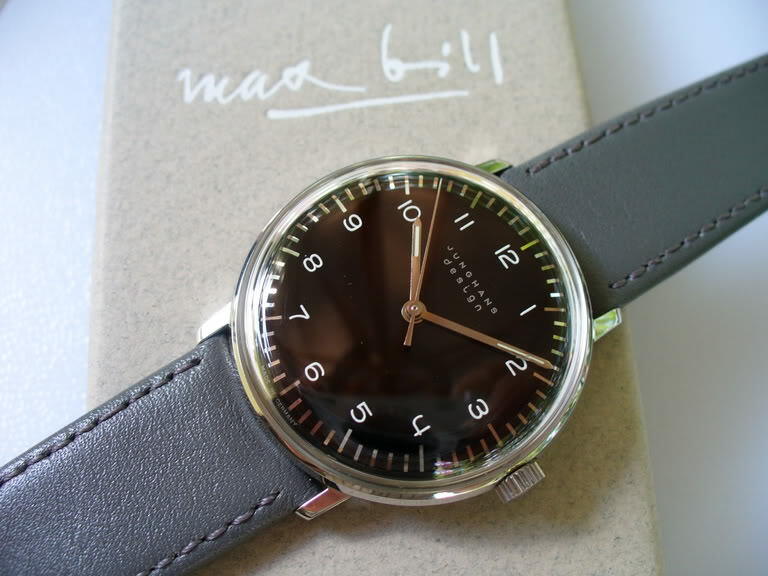 This Max Bill was a beautiful watch and I bought it when they were pretty reasonably priced. A little too classy for me back then. 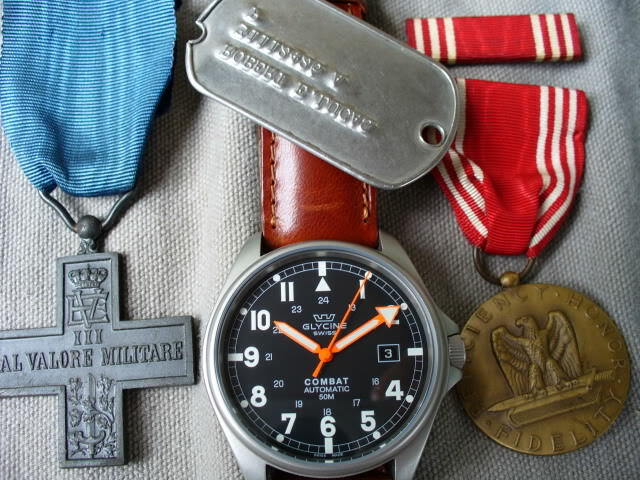 Lastly is this older version of the Glycine Combat taken along with a couple of my dads medals from WWII (the big one) and his dogtag. Interesting note on this pic is that it was in a contest at BDWF and beat out some guy named Skelton who fancied himself quite the cameraman) for first place. How did you let any of those go? They all would be keepers in my collection. Nice photos too, especially the Swatch and Hammy shots. those Our somme Fyne wartchs frogbourne. due Ewe half any Olde pitchers of Invicters alan Frum that Eraa?? Wow. You flippers; those last three are pretty boss. I mean, really nice. 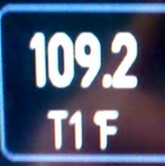 You do have a touch with the lens as well. Damn.